The 25-passenger minibus is a great option for medium-sized groups who need a shuttle service, a reliable bus for a day trip, or both! This minicoach has all of the comfortable amenities you want for a day trip without the size of a full-sized coach. Take one to your next field trip, business outing, or other small event for simple transportation from start to finish. 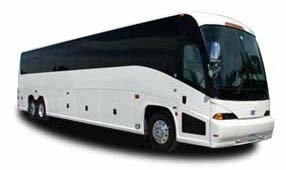 Charlotte Charter Bus Company’s agents are always available to help you plan your trip and find your perfect bus. If your group requires a coach other than a 25-passenger minibus, we’re happy to find what works best for you! Book with us for your next group event and see why we’re the best in the business. Call us today at 704-302-1258 to get started.